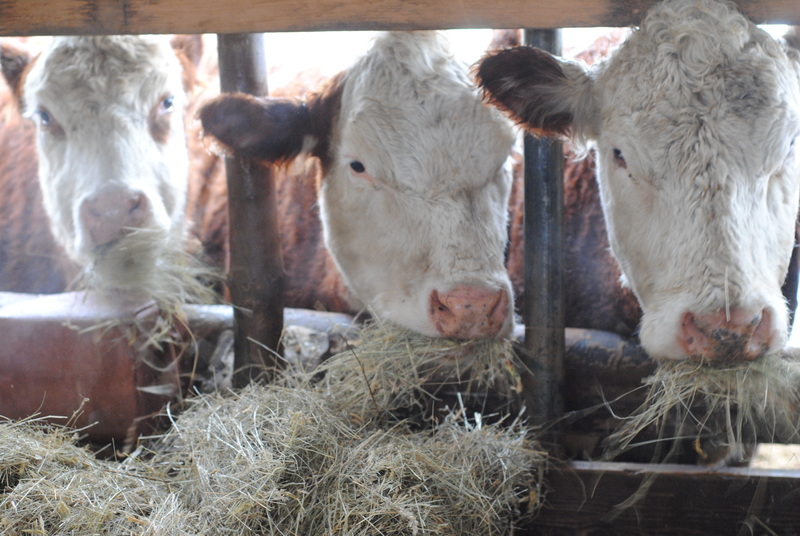 Cows lead a fairly simple life and I’m pretty sure they are happiest when they are eating. 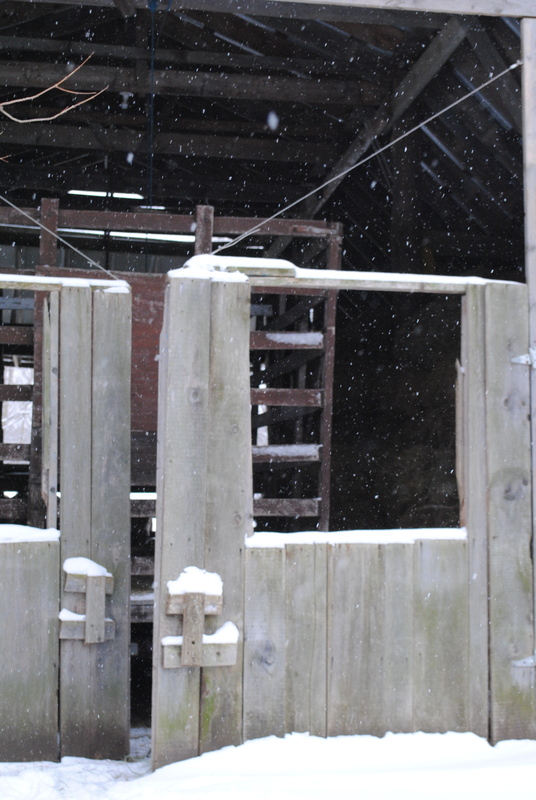 In the winter, every day, twice a day, we head into the hay barn to give them some hay. In November, that hay trailer was full of hay! Now we are down to the bales stored along the sides. We are ready for spring to come! Usually we give them a few bales at each feeding. 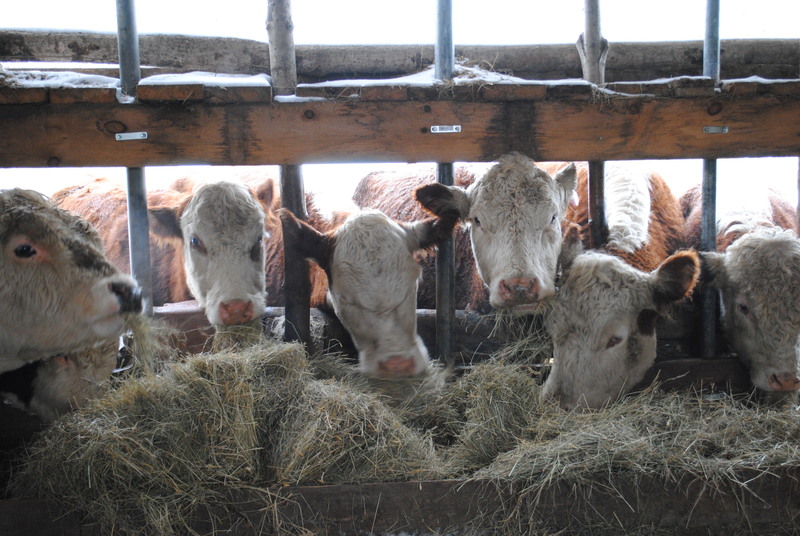 In the mist of this never ending polar vortex the cows love munching on the hay on a cold winter day. Sometimes it seems like a chore, but then a cow looks at me with one of those big beady eyes and I can’t help but laugh to myself. They are truly gentle giants and such interesting animals to spend time with, as this hilariously accurate super bowl commercial depictes perfectly. I have to be honest and say Dan is the one that faithfully feeds the cows every day. He comes from a family of farmers and he has the ability to wake up and jump out of bed in the wee hours of the morning. I once thought myself a morning person, but after marrying Dan I realized there are morning people, and there are farmers. We don’t have a long list of morning chores to get done, but Dan doesn’t seem able to sleep beyond whatever time the sun rises at. (He also isn’t able to stay awake much longer after the sun sets.) Needless to say, even if I wanted to feed the cows in the morning, Dan always seems to get out of bed before me and get it done. I am grateful for the few extra minutes he gives me each morning to wake up. I’m off to enjoy our last day of February vacation! Hope you are all staying warm as the polar vortex returns! I’ve been meaning to tell you that I think you are a fine writer…and I always enjoy your posts (and they make me jealous). Thanks! I’m glad you enjoy them!